In Industrial Revolution era Lodz three young entrepreneurs (Karol - a Polish aristocrat, Moryc – a Jewish speculator, and Maks – a German machinist) reason that since they have nothing, they have just enough start from scratch. They plan to build their own factory and compete in Lodz’s cutthroat boom-and-bust cotton mill market. Word gets out quick and the power-players of the city maneuver to ally-with, cut-in or stonewall the would-be millionaires, who still need a great deal of capital just to get off the ground. Karol, already respected as a ruthless, cunning and efficient right-hand man to the tyrannical textile titan Herman Bucholz, receives generous counteroffers from men eager to exploit or expunge him, but Karol has an ace up his sleeve. 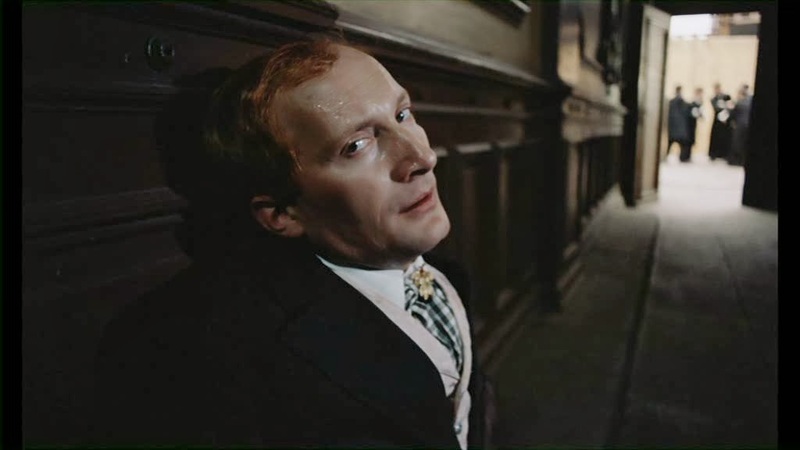 Despite an understood engagement to his childhood friend Anka, perhaps the film’s only innocent, he courts the awkwardly well-meaning but uncultured Mada Muller, daughter of a nouveau riche German mogul, and makes use of an affair with Lucy Zuckerowa, wife of an elderly Jewish businessman, to secure information allowing him to corner the Hamburg futures exchange. 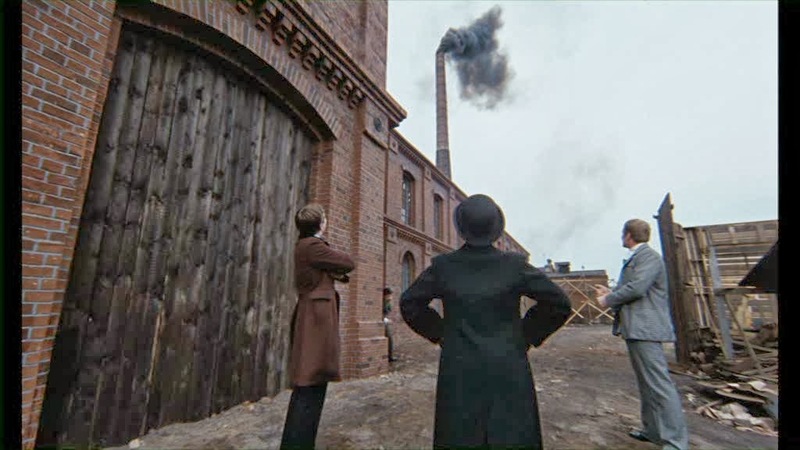 Meanwhile Maks sees his father, a good and honest man unwilling to lay off staff and modernize his factory with steam power, go bankrupt and insane. 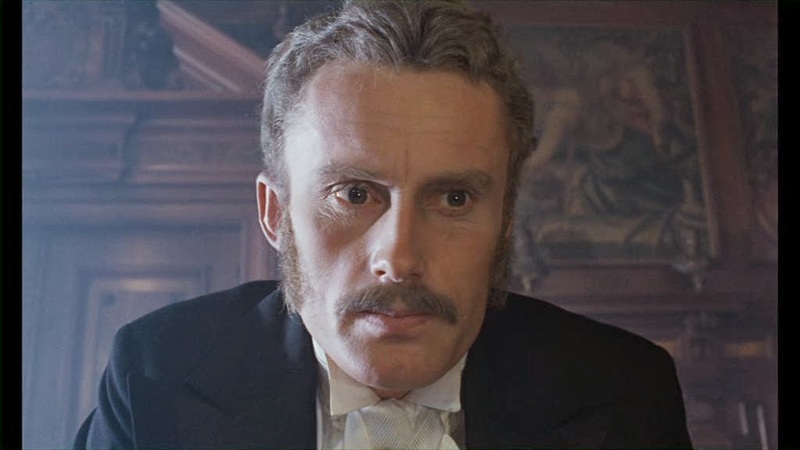 Moryc, usually shy and sensitive (the film hints at a crush on Karol), makes his contribution by betraying his fatherly benefactor in the Jewish community. The three men see their dreams realized, but in their hubris they reject a proposal to insure the factory. Karol’s indiscretions come back to haunt him and a vengeful rival torches their building to the ground. Yet Karol is not the type of character willing to submit to the classical rise-and-fall arc of karmic justice. Unlike an honorable Polish friend, who early in the film blows his brains out when facing financially ruin, Karol is undaunted. 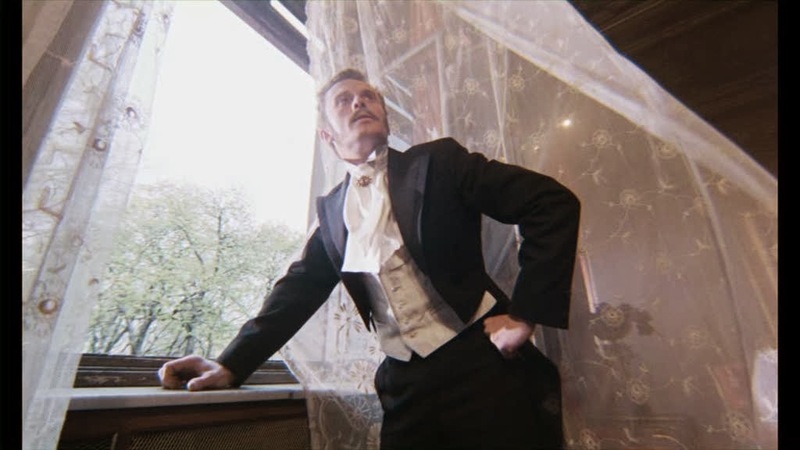 Years later we see him at his height, now an industrial baron in his own right, strutting between a sumptuous party and a tense board meeting as he contemplates the hardest decision of his life. No man, says a colleague, is so great a rascal that he doesn’t long for redemption. Karol doesn’t reply. He doesn’t look at the crowd of striking workers outside. Will he give the order to open fire? 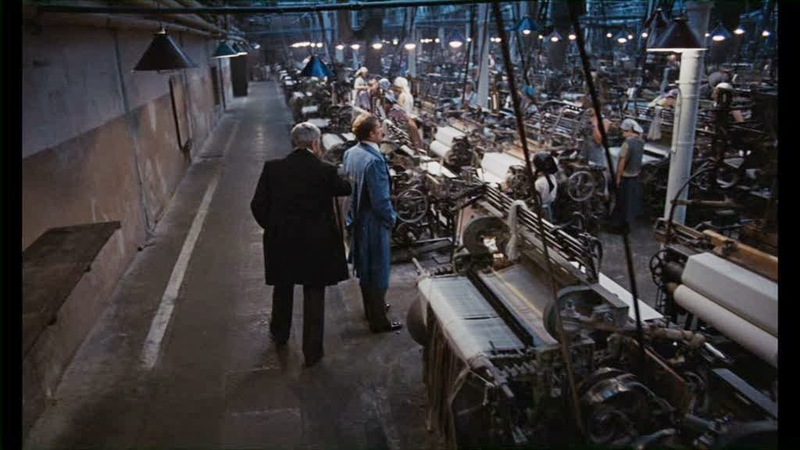 Ironically, The Promised Land must be among the most expensive anti-capitalist screeds ever made, but its canny use of resources and sheer vision pay off, matching Zola and Dickens for passion, candor and condemnation, not to mention ambitious scope and attention to detail. One of its greatest achievements is the staggering recreation of 19th century Lodz, from galleries of deafening mechanical looms to the awe-inspiring inferno of ritualized insurance arson. 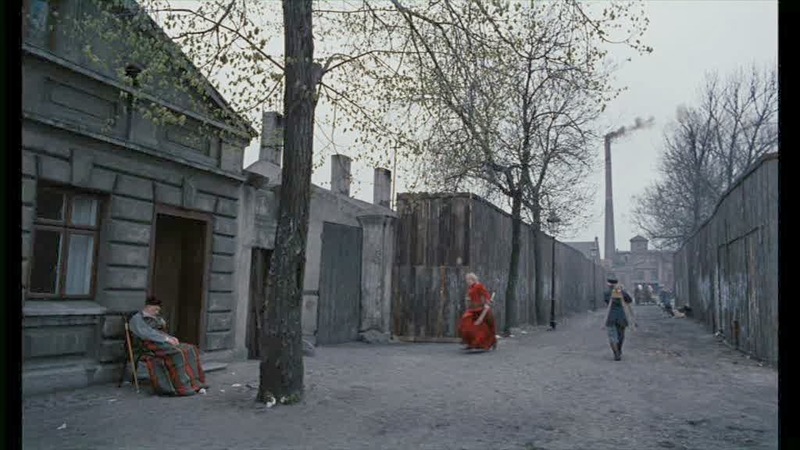 Andrzej Wajda, a director known for his insightful handling of historical subjects, has a rare skill for fashioning the gritty ugliness of oily rags, dirty streets and brickwork factories into a twisted beauty of its own. 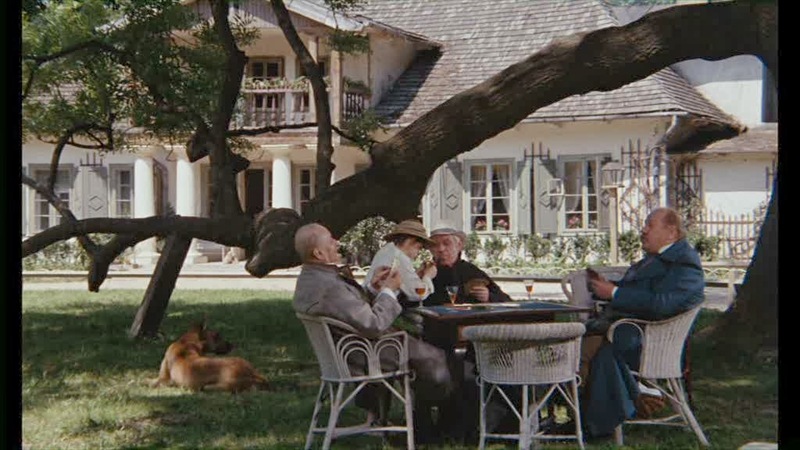 The distinctive cinematography features aggressive intentionally-unflattering wide-angle lenses and a palette of sooty browns, grays and blacks punctuated by shocking swaths of crimson. 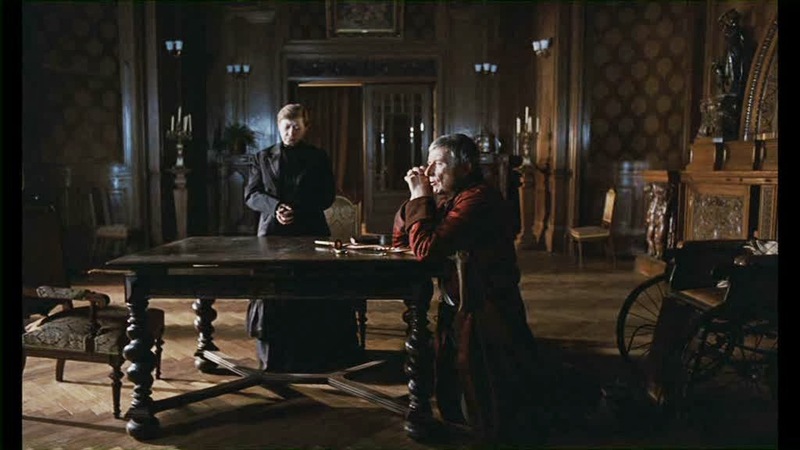 One touch I especially like is Wajda's realistic handling of mid-1800’s environmentalism: it’s simply not on their radar. Several scenes, like a romantic tryst alongside blood-red streams of waste runoff or the undisguised pride as the trio looks at their smokestack belching acrid plumes, make creative use of value dissonance. The viewer is left aghast, but the characters don’t even blink. 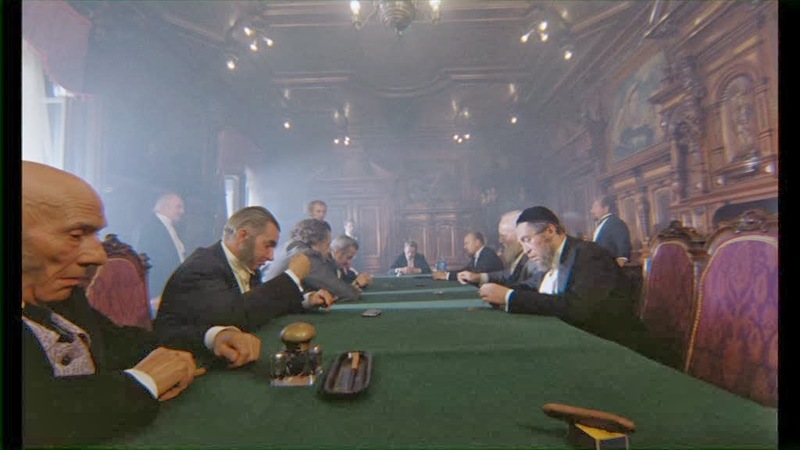 Beyond the art direction, the film’s strongest asset may be Nobel-prize winning author Wladyslaw Reymont’s source material, with its all-encompassing yet intricate structure. 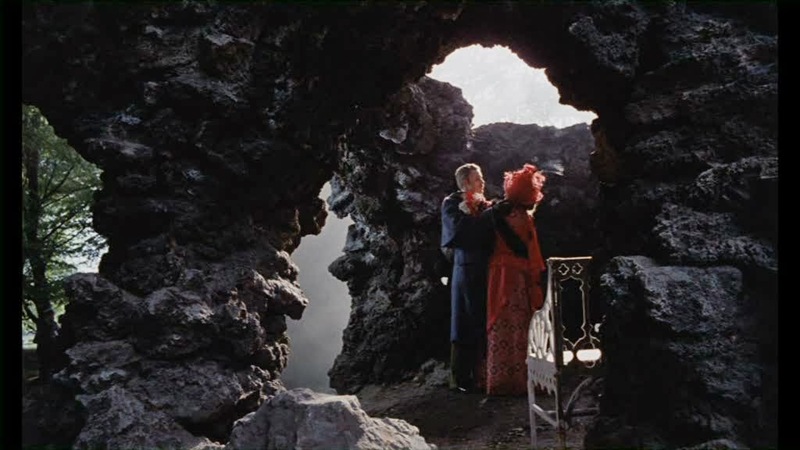 The opening carriage-ride through a budding forest and the introduction of Karol, Moryc, Maks and Anka at a respectable country estate intentionally belie the film’s subsequent 3-hour descent into the nightmare hell of inner Lodz where its crooked denizens scrabble for profit. And while that might sound like a drag, the sprawling yet thematically tight narrative, concise editing and foreboding music propel the film. 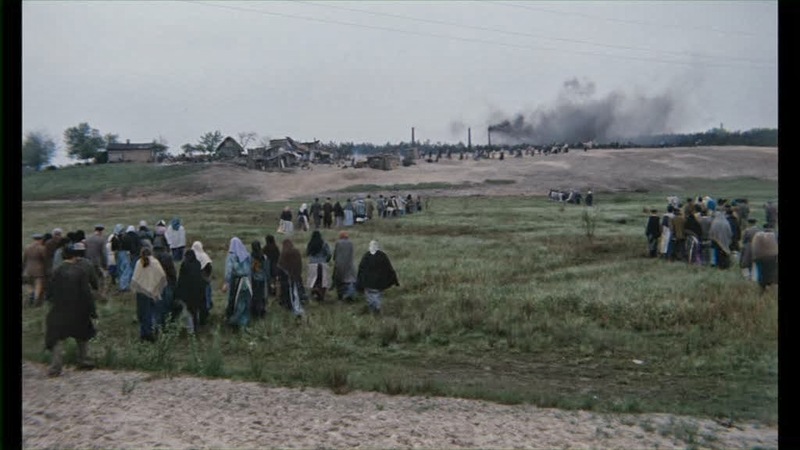 It’s momentum is maintained by the cast’s intuitive understanding that a film about the destructive speed of unchecked progress can’t be sedentary; with the actors always on the move, it’s almost all Wajda can do to keep the camera abreast. Daniel Olbrychski provides the most arresting performance, endowing Karol with a clipped delivery, aggressively-efficient mannerisms and a brutal single-mindedness that make him appealingly capable, though increasingly morally repugnant (and he doesn’t exactly start out as a choir boy). All three of the leads are interesting in that, aside from their steadfast determination and loyalty, they would more typically be the villains of stories about proletariat heroes and working condition reforms. This reversal of perspectives provides a fresh take on age-old class conflicts while exploring the continuity of power and its abuses. Over the course of the film we witness a sort of changing of the guard as the various magnates, behaving like spoiled gods, yet succumb to their own vices (the film’s several death scenes share a harrowing grotesqueness and immediacy) and become just more grist for the insatiable mill (in one case quite literally). 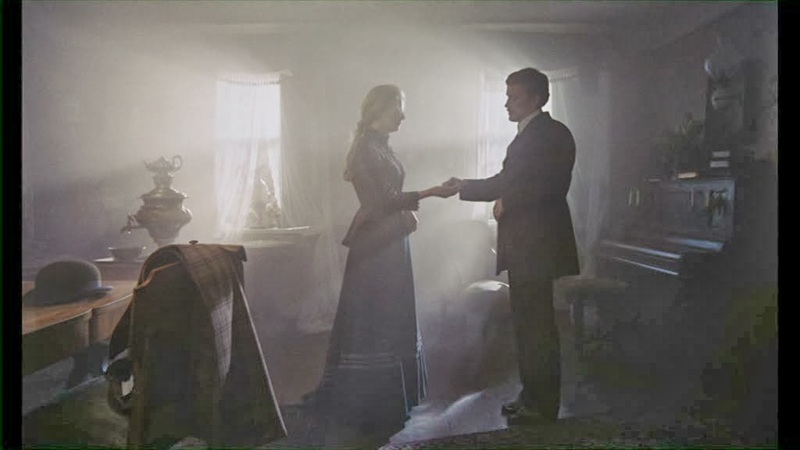 The film’s final scene, an epilogue that illustrates this point at its logical extreme, is so strong it could stand alone as a short. Man, I love Poland. Makes me miss it. I'm glad they have wonderful films. I've read a few books from ex-Austrian Polish writers, but I'm not sure if I've seen any such similar films. This film is fantastic. Definitely one of my favorite discoveries of the project.